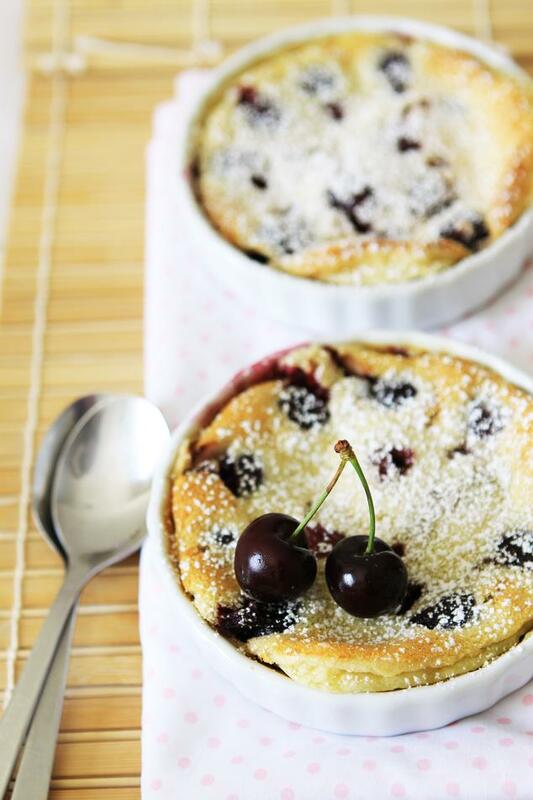 Gourmet Baking: Enjoying the Bounty of Summer: My First Cherry Clafoutis! Enjoying the Bounty of Summer: My First Cherry Clafoutis! Yes, I've said it, I've never made clafoutis before. There, done. According to what I've been reading, clafoutis is one of the easiest French desserts there is, it falls into the same category as gratin, pots de creme, creme brulee, etc. 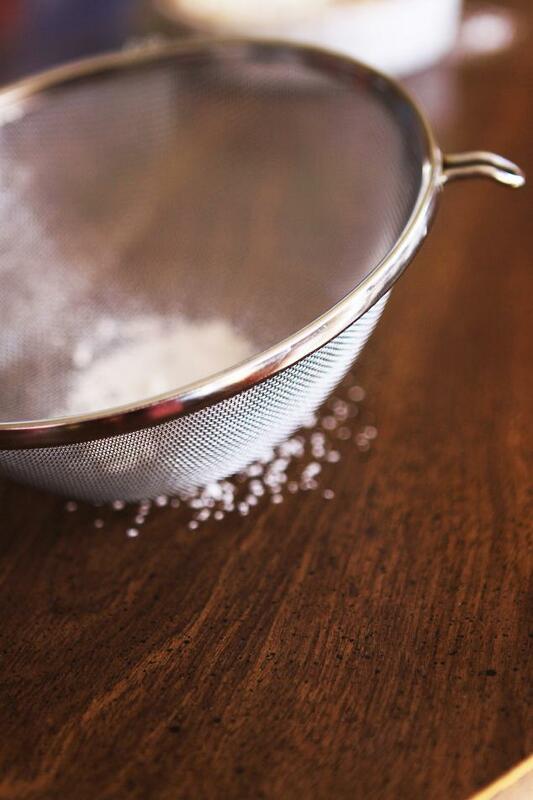 as it has almost the same ingredients and method, except for the addition of flour. For someone who describes herself as French pastry aficionado, it is quite a shame that I've never made it or ate it before until now. 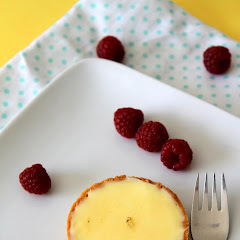 While I'm very familiar with its custard family (gratin, creme brulee, ...), this is the only one that's left out. To be honest, cherry clafoutis has always been on my list of things to make every year, at least for the last three consecutive years, and finally it comes to reality :). Since cherry season is really short, I usually find myself out of cherries when I finally had the chance to make it. Sure I can make it with other fruits, but for some reason, I've always wanted to try the classic for the first time :). 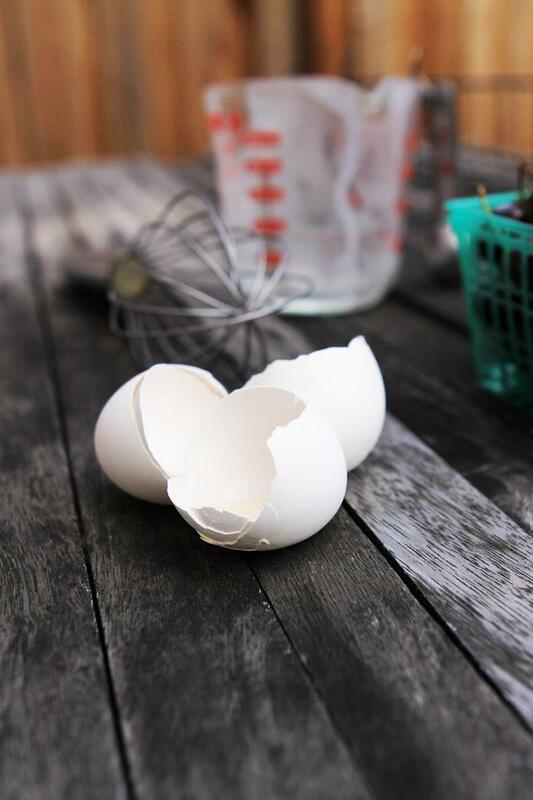 It's funny how I always make a list of things to make during summer, each year, but not all of them are actually made it to a realization. With the gift of summer, fresh ripe sweet cherries, blushing apricots, fragrant peach, succulent strawberries, I mean, how can anyone resist? Simple things that bring you contentment in life. This year, I do the same thing too. In fact, the list is getting longer and longer and I'm determined to make at least 60% of them or hopefully I can make all of them, which means that I have to bake about 3 times a week :). 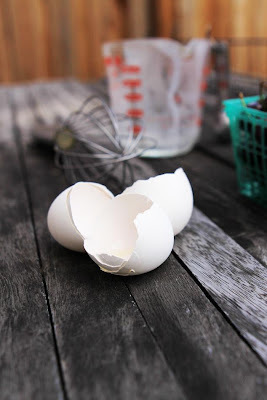 We'll see how it goes, but for the next few months, you will see lots of summery goodness in this blog. Finding the best recipe was pretty hard as I don't know how a good clafoutis texture or taste would be like. If it's a mousse or a cake that I'm pretty familiar with, I can usually have a prediction of how it would turn out like by looking at the amount of each ingredients, but not this time. 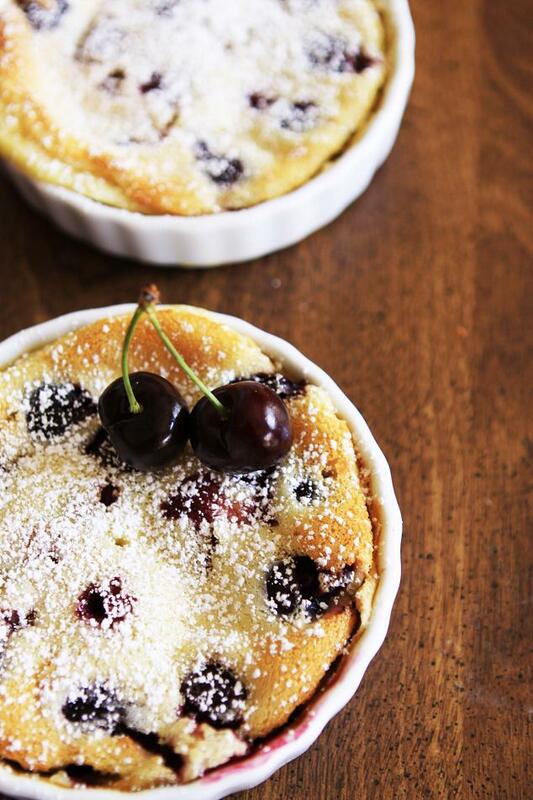 What made it so hard too is that there a LOTS of good-looking clafoutis floating around the web. Whenever I visit tastespotting or foodgawker or my favorite blogs, you can bet that at least there's one clafoutis being posted, and they're all look gorgeous! 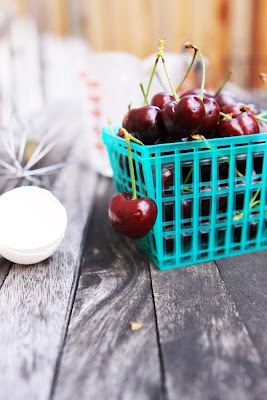 I love this time of the year when everywhere I go for blog hopping or to one of those sites that feature food with good photography, I saw summer summer and summer and I'm lovin' it! BBQ, outdoor parties, strawberry cakes, cherry desserts, stone fruits goodies, refreshing drink, they all scream for summer! I finally settled down to this recipe. Many people say that the traditional clafoutis have the unpitted cherries in it. They believe that the pit will release a nutty flavor to the clafoutis, but I decided to skip that part because I don't want my little niece and nephew to choke on them. 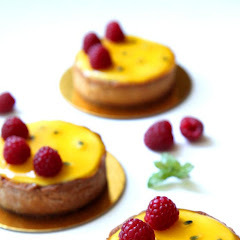 The texture of this dessert is a cross between a custard and a cake because of the addition of flour. Many people eat it as dessert, snack, or even breakfast, but since I don't eat berakfast other than my dose of caffeine in the morning, I saved it for dessert or snack and it's even better with a scoop of vanilla ice cream! Thank you for the recipe! 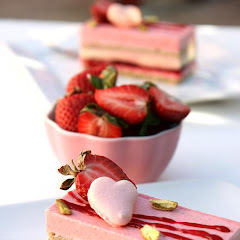 I unknowingly made something very similar to this using strawberries a few months ago, and it didn't have a name or a recipe, I just added ingredients together and baked it. It tasted amazing but was packed full of sugar and had no flour. 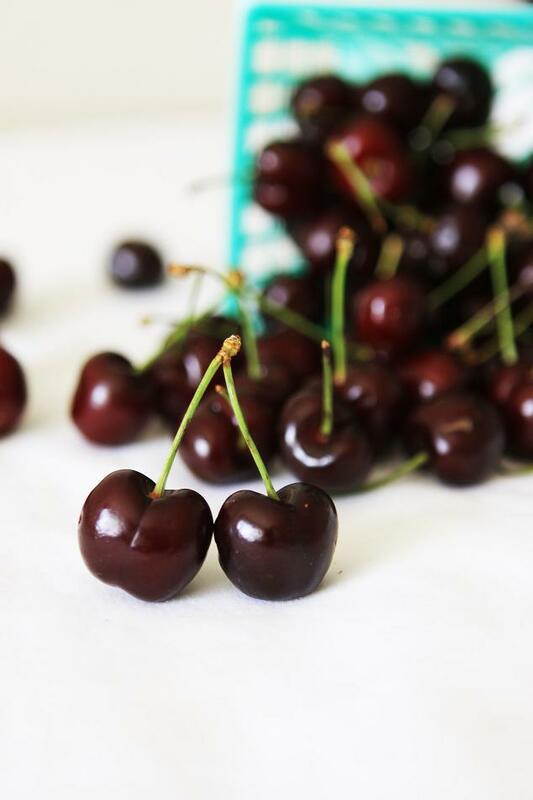 My cherry tree is ready to pick now and I may take advantage and make clafoutis of my own! 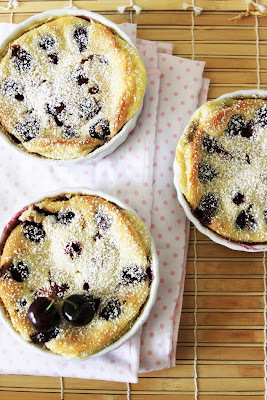 That's a gorgeous clafoutis, and lovely pictures too! 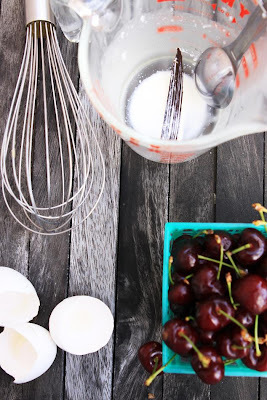 the next time I get my hands on some cherries, I'll be making this!!! Delicious looking clafoutis and absolutely beautiful photos. Jo: Thank you so much! What a beautiful clafoutis! I just made my first one recently too, and I can't wait to make it again. Thanks for the recipe! I'd love to bake it in teacups with slivered almonds on top. 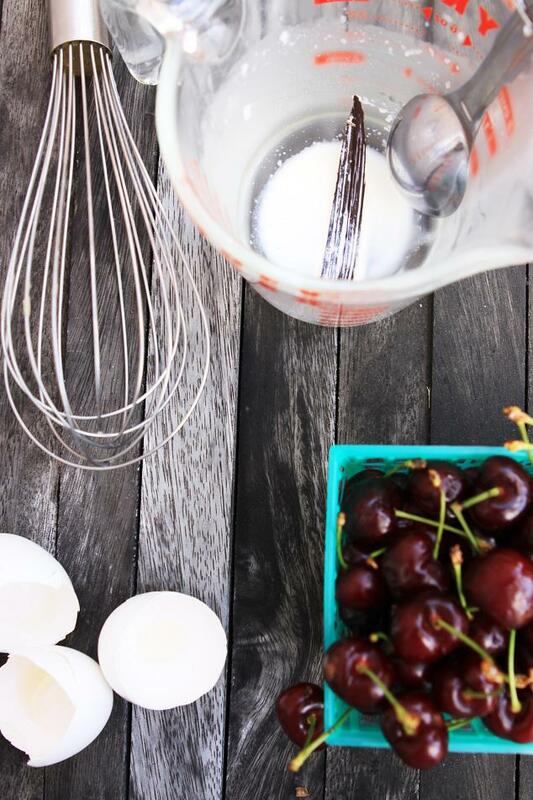 Posted my cherry clafoutis today. Thanks for inspiring me to try this out and for sharing the recipe. green tea: I was confused for a second, I'm assuming you're talking about the green tea ice cream cake in the newer post (certainly not this one, right? :D). But thanks! The word clafoutis popped into my head a couple of years ago, but spelled wrongly: clafoutie. I couldn't understand it. It's a lovely-sounding word, but I didn't know anyone called Clafoutie and Google was no help at all. I realise now that my brain was calling out for pudding. Thank you, from the inside of my head.